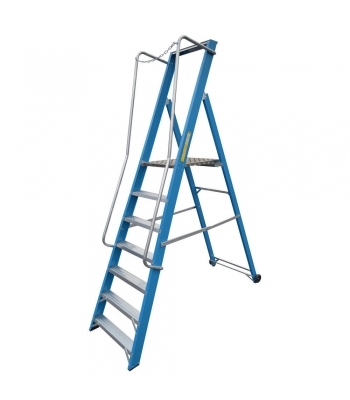 These steps have been designed in respose to recent changes in Health & Safety regulations. With handrails, a chain for 360° safety and a large working platform, users are assured of a comfortable, safe place to work. The addition of wheels on the rear legs makes positioning much easier. The Glassfibre frame is non-conductive, making these ideal to use where electrical hazards exist.